Continuous hiring for entry/lateral levels officers. *Premium incentives include: POST Senior Officer Advanced Certificate, Shift differential (7% swings, 9.5% graves), Educational incentive (3% AA, 7% BA/BS). Longevity pay (at 10, 14, and 20 years of service), 3/12, 4/12 hybrid schedule. PERS Classic employees retain their classic status. Additional benefits (not included in the premium incentive pay) include lifetime medical after 15 years of service, 50% after 10 years of service. Regular opportunities for double-time overtime pay. FTO (5% extra pay), K9 unit ($950/mo. Extra pay). 9% EPMC conversion pay for final year of service (Classic employees). Other special assignments include: Regional SWAT Team member, Detective, JTTF, Background investigator, Training Officer, Evidence Tech, CAP Team. Training that exceeds POST Standards. 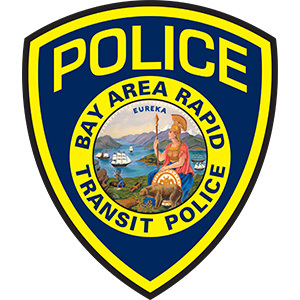 Most officers work either a 4/10 or 3/12, 4/12 hybrid schedule. 3 weeks of paid vacation after the first year of service. Premier medical, dental, and vision benefits. Free BART transportation for employees and dependents and an opportunity to work in multiple Bay Area counties and communities.